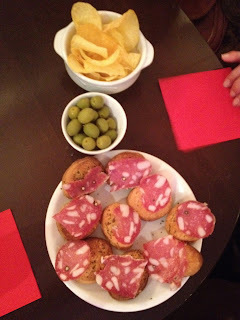 In Piazza Farnese, there is a cozy place to enjoy an aperitivo with good company. Camponeschi caters to artists and art lovers alike. The walls are lined with unique paintings that are for sale from local artists. 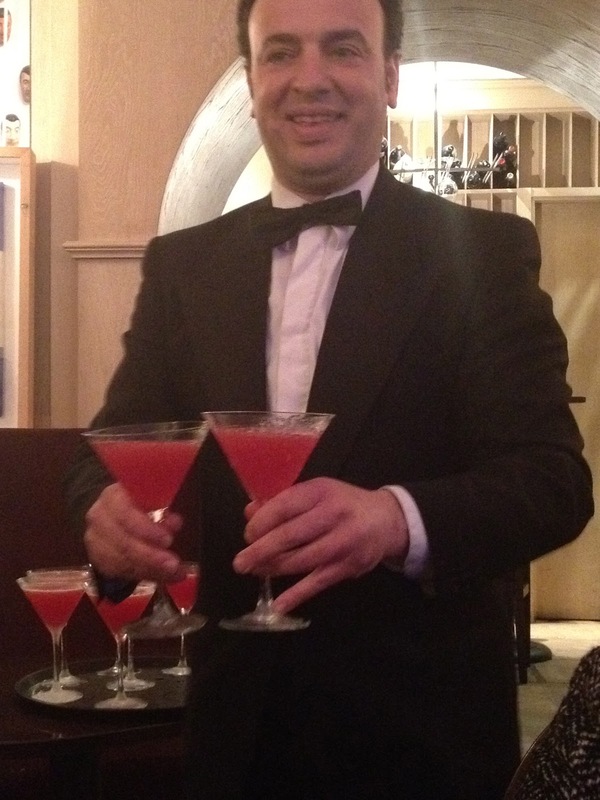 Franco, the server we visit every time, greets us warmly. He makes a mean strawberry bellini with prosecco and fresh blended strawberries. Served hot pink, and in a martini glass, just what a girl likes! 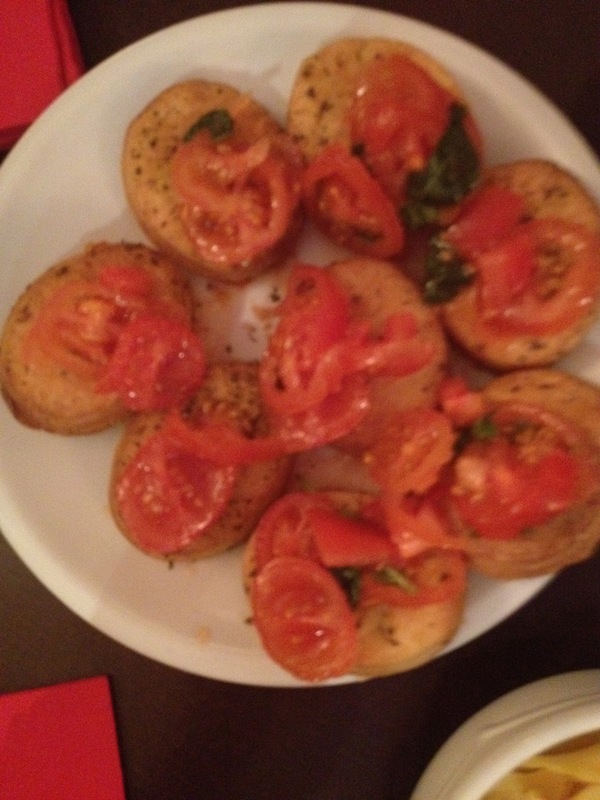 To compliment our perfect pre-dinner drink, we are given an arrangement of crostini. Some mortadella, some tomato, some salami. Also to munch on, fresh mozzarella balls, potato chips, and olives. This was a pre-dinner snack. So, as you can imagine, it was a well-deserved 4-pound weight gain after this trip! Nevertheless, I kept going. Next door is Ristorante Camponeschi, which has brilliant reviews. I have yet to try it, but it's on my list for next time. I felt my stomach heave when I read that description, but I was quickly won over again by the further talk of mortadella with pepper, nutmeg, pistachios, and olives. It is so delicious, so please do yourself a favor and never read the details on ANY meat product. Ever. 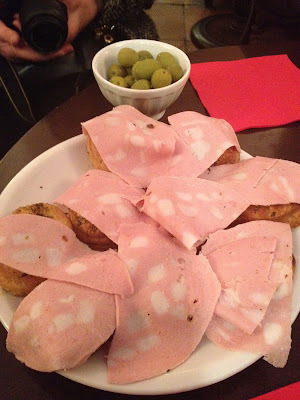 The delicious hard pig neck fat (MORTADELLA)!!! Its a feast for the eyes, I'm starving!